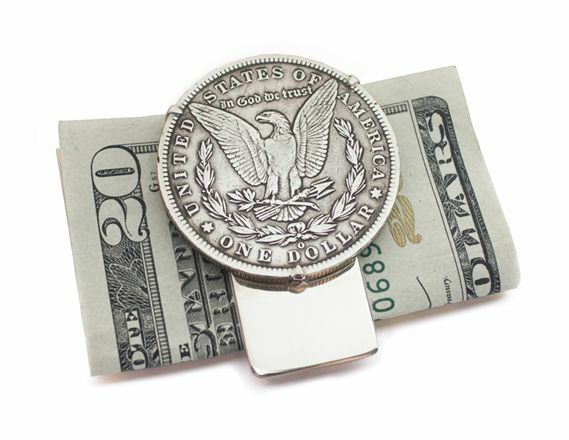 Order your Tokens and Icons Morgan Silver Dollar Money Clip today from FahrneysPens.com. Fine Pens, Refills & Luxurious Gifts – great prices & fast shipping. 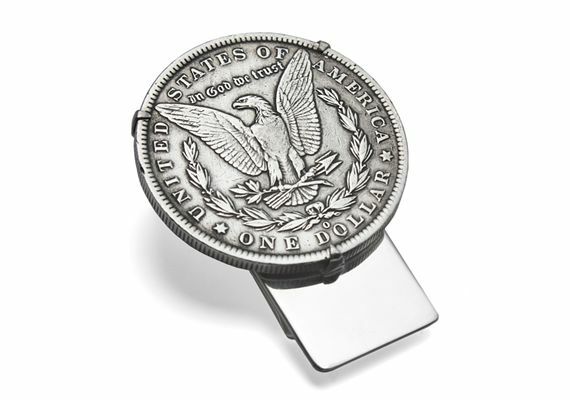 This new sterling money clip features an authentic late 1800s Morgan Silver Dollar - a stately, collectible coin if there ever was one! Minted from 1878-1904, the Morgan Silver Dollar is one of the most famous and highly collected U.S. coins of all time. Heavy gauge, durable sterling silver clip measures 2” long. The 3-prong setting safely secures the coin without damage to the collectible. Gift boxed with a certificate of authenticity.